How one lab is consolidating ocean data to track climate change. Scientists have been making monthly observations of the physical, biological, and chemical properties of the ocean since 1988. Now, thanks to the Hurwitz Lab at the University of Arizona (UA), researchers around the world have greater access than ever before to the information collected at these remote ocean sites. Led by Bonnie Hurwitz, assistant professor of biosystems engineering at UA, the Hurwitz Lab corrals big data sets into a more searchable form to help scientists study microorganisms – bacteria, fungi, algae, viruses, protozoa – and how they relate to each other, their hosts and the environment. Sample collection. 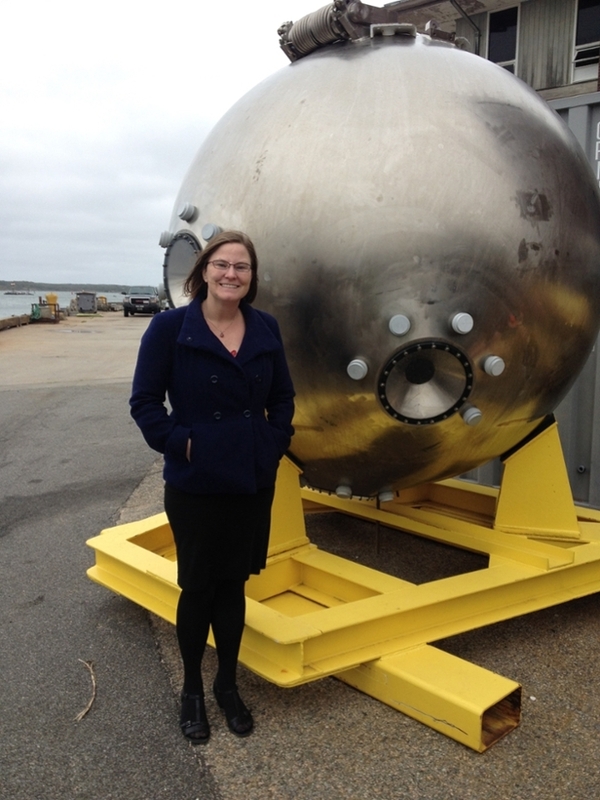 Bonnie Hurwitz next to the metal pod that serves as the main chamber for the Alvin submersible that scientists operate to collect samples from the deepest parts of the ocean not accessible to people. Courtesy Stefan Sievert, Woods Hole Oceanographic Institution. The lab is building a data infrastructure on top of Cyverse to integrate and build information from diverse data stores in collaboration with the broader cyber community. The goal is to give people the ability to use data sets that span a range of storage servers, all in one place. “One of the exciting things my lab is funded for is Planet Microbe, a three-year project through the National Science Foundation (NSF), to bring together genomic and environmental data sets coming from ocean research cruises,” Hurwitz said. As the CTD descends into the ocean, bottles are triggered at different depths to collect water samples for a variety of experiments including sequencing the DNA/RNA of microbes. The moment each sample leaves the ship is often the last time these valuable and varied data appear together. A CTD device that measures water conductivity (salinity), temperature and depth is mounted underneath a set of water bottles used for collecting samples at varying depths in a column of water. Courtesy Tara Clemente, University of Hawaii. The readings taken at each level stream out to data banks around the world. Different labs conduct the analyses, but the Hurwitz lab reunites all of the data sets, including data from these long-term ecological sites used for monitoring climate and changes in the oceans. While still in year one of the project, the first data have just been released under the iMicrobe platform, which connects users with computational resources for analyzing and visualizing the data. The platform’s bioinformatics tools let researchers analyze the data in new ways that may not have originally been possible when the data were collected, or to compare these global ocean data sets with new data as it becomes available. In addition to their Planet Microbe work, Hurwitz and her team work with the three entities that store and sync all of the world’s “omics” (genomics, proteomics) data – the European Bioinformatics Institute, the National Center for Biotechnology Information and the DNA Databank of Japan, and others. 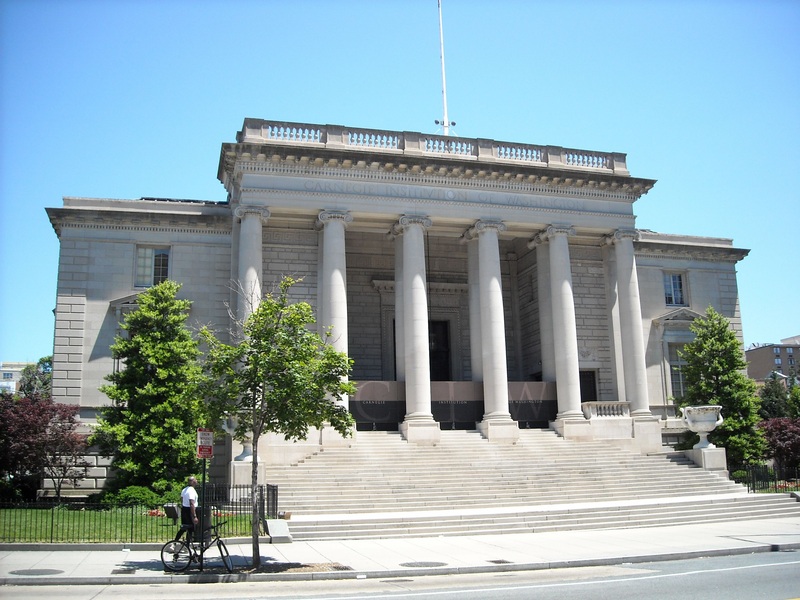 “We are working with the National Microbiome Collaborative, a national effort to bring together the world’s data in the microbiome sciences, from human to ocean and everything in between,” Hurwitz said. Going deep. 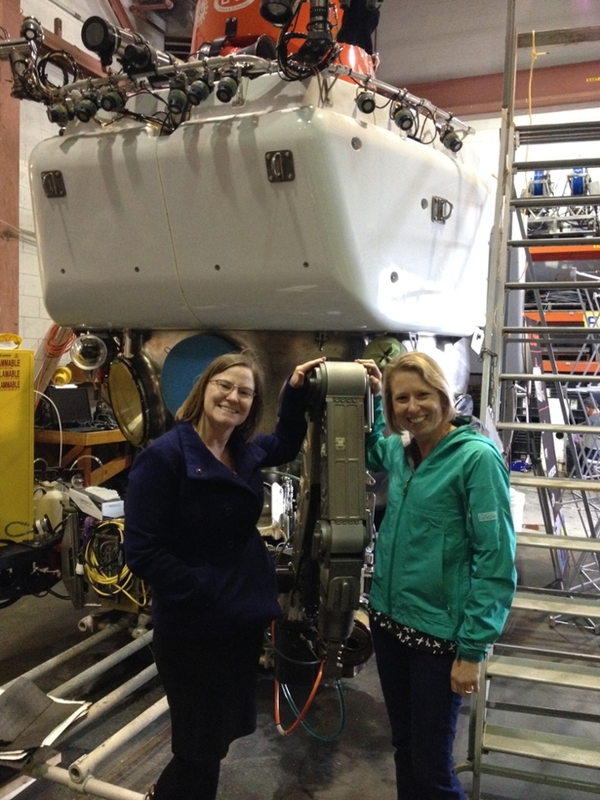 Hurwitz and Amy Apprill, associate scientist at Woods Hole Oceanographic Institution, in front of the human-piloted Alvin submersible. Deep-water samples are collected using the pod’s robotic arm because the pressure of the water is too intense for divers. Courtesy Stefan Sievert, Woods Hole Oceanographic Institution. By reconnecting ‘omics data with environmental data from oceanographic cruises, Hurwitz and her team are speeding up discoveries into environmental changes affecting the marine microbes that are responsible for producing half the air that we breathe. These data can be used in the future to predict how our oceans respond to change and to specific environmental conditions. 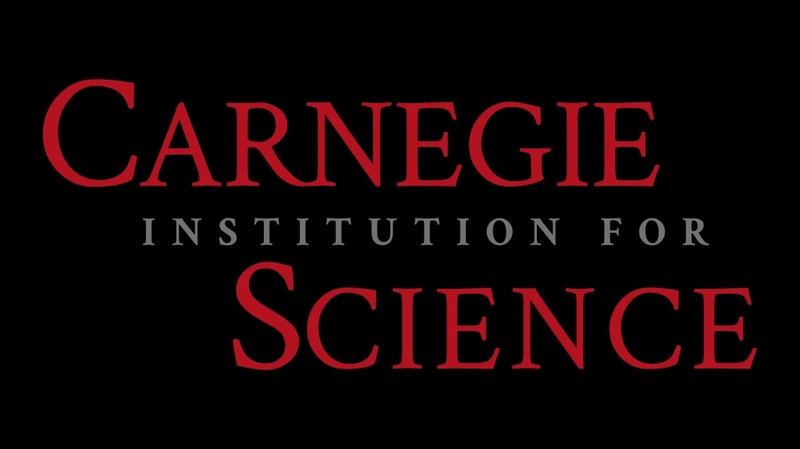 The National Science Foundation announced that it has awarded a coalition of academic and oceanographic research organizations a five-year, $220 million contract to operate and maintain the Ocean Observatories Initiative. The coalition, led by the Woods Hole Oceanographic Institution, with direction from the NSF and guidance from the OOI Facilities Board, will include the University of Washington, Oregon State University and Rutgers, The State University of New Jersey. The OOI is an advanced system of integrated, scientific platforms and sensors that measure physical, chemical, geological and biological properties and processes from the seafloor to the sea surface in key coastal and open-ocean sites of the Atlantic and Pacific. as designed to address critical questions about the Earth–ocean system, including climate change, ecosystem variability, ocean acidification, plate-scale seismicity, submarine volcanoes and carbon cycling with the goal of better understanding the ocean and our planet. All OOI data are freely available online. 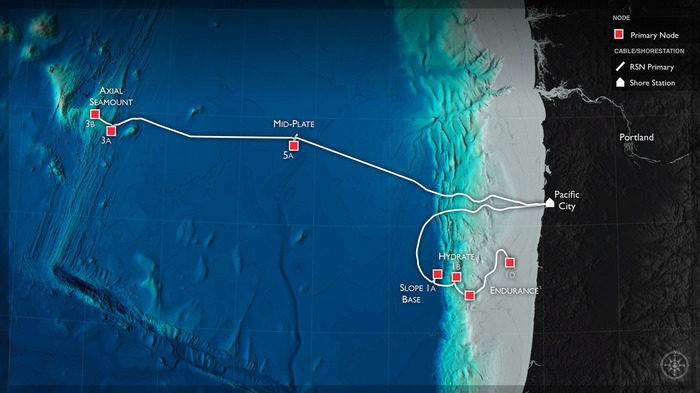 Each institution will continue to operate and maintain the portion of OOI assets for which it is currently responsible: the UW will operate the Regional Cabled Array that extends across the Juan de Fuca tectonic plate and overlying ocean; OSU will operate the Endurance Array off the coast of Washington and Oregon; WHOI will operate the Pioneer Array off the Northeast U.S. coast and the Global Arrays in the Irminger Sea off the southern tip of Greenland and at Station Papa in the Gulf of Alaska; and Rutgers will operate the cyberinfrastructure system that ingests and delivers data for the initiative. In addition, WHOI will serve as the home of a new OOI Project Management Office. The OOI officially launched in 2009, when the NSF and the Consortium for Ocean Leadership signed a cooperative agreement to support the construction and initial operation of OOI’s cabled, coastal and global arrays. The launch represented the culmination of work begun decades earlier, when ocean scientists in the 1980s envisioned a collection of outposts in the ocean that would gather data around the clock, in real- and near-real time for years on end, and enhance the scientific community’s ability to observe complex oceanographic processes that occur and evolve over time scales ranging from seconds to decades, and spatial scales ranging from inches to miles. The OOI currently supports more than 500 autonomous instruments on the seafloor and on moored and free-swimming platforms that are serviced during regular, ship-based expeditions to the array sites. Data from each instrument is transmitted to shore, where it is freely available to users worldwide, including members of the scientific community, policy experts, decision-makers, educators and the general public. The UW operates the largest single piece of the OOI, the Regional Cabled Array: cables from Newport, Oregon, that bring high power and high-bandwidth internet to an observatory that spans the seafloor and water above. The equipment was built and installed by the UW starting in 2011 and became fully operational in 2016. It includes more than 140 instruments and six tethered robots laden with instruments that collect data from about 9,500 feet beneath the ocean’s surface to the near-surface environments. The new grant will fund refresh and maintenance of the Regional Cabled Array infrastructure, data evaluation, and five annual cruises. The main hardware will continue to be maintained and upgraded by the UW’s Applied Physics Laboratory, and will continue to incorporate sensors from local companies Sea-Bird Scientific of Bellevue and Paroscientific of Redmond. Just before its official commissioning, the Regional Cabled Array in April 2015 captured first-of-its-kind data of an underwater volcanic eruption that included more than 8,000 earthquakes over a 24-hour period, a roughly 7-foot collapse of the seafloor and more than 30,000 explosive events. The data evolution of the eruption was the focus of several papers [Science]. One of those authors is now using real-time observations to predict that the underwater volcano’s next eruption, which also will be monitored, will occur in early 2022. The number of instruments attached to the observatory is growing. William Wilcock, a UW professor of oceanography, has received two NSF grants that include funding for a new instrument now monitoring seismic activity and deformation of the seafloor, and another geophysical instrument to be installed next year on the underwater volcano, Axial Seamount. 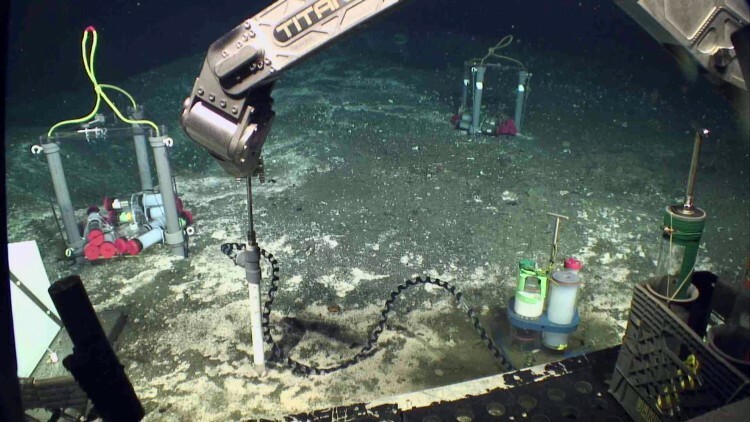 An award from Germany’s national research agency resulted in the installation this past summer of two high-resolution sonars to image methane gas plumes that are bubbling up from the seafloor at a highly active area called Southern Hydrate Ridge. “We are looking at some of the most biologically productive and geologically active regions in the world, and we’ve never had so many co-registered sensors in these dynamic environments. With these data, collected on time scales from seconds to years, we hope to discover important links about how the ocean works and evolves,” Kelley said. NASA-backed scientists hope project advances plans to search moons for extraterrestrial life. Scientists from Harvard and the Woods Hole Oceanographic Institution are collaborating on deep-sea technologies that could be a model for exploring oceans on the moons of Jupiter and Saturn. The ABISS project aims to create an autonomous ocean-floor observatory equipped to kick into high gear when something interesting happens, switching on cameras and sophisticated sensors and wirelessly alerting researchers hundreds of miles away. All that sounds good to NASA. The agency is funding the project as it grapples with the likelihood that the search for extraterrestrial life will lead underwater, from the dry terrain of Mars to ice-encrusted oceans on Jupiter’s Europa, Saturn’s Enceladus, and other moons. ABISS, which stands for autonomous biogeochemical instrument for in situ studies, is led by Harvard biologist Peter Girguis with Woods Hole colleagues Norman Farr and Clifford Pontbriand. 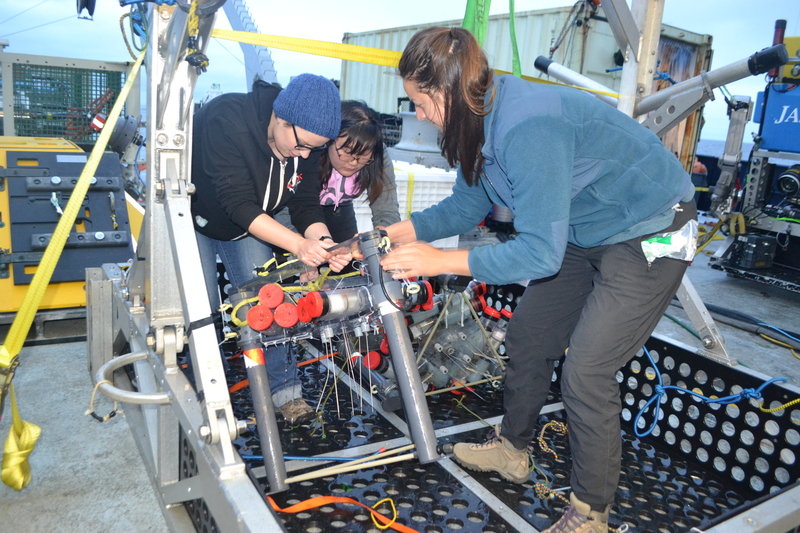 Girguis said the project seeks to harness advances in robotics, big data, and telecommunications to advance ocean exploration, here and out there. Earth’s oceans are mysterious, hard to get to, and hostile to sustained exploration. The sea floor is miles below the surface, with temperatures just above freezing, crushing pressure, and total darkness. Communication is difficult because water blocks the radio waves that make surface communications comparatively effortless. Just as in space exploration, Girguis noted, terrestrial oceanographers are looking for life. 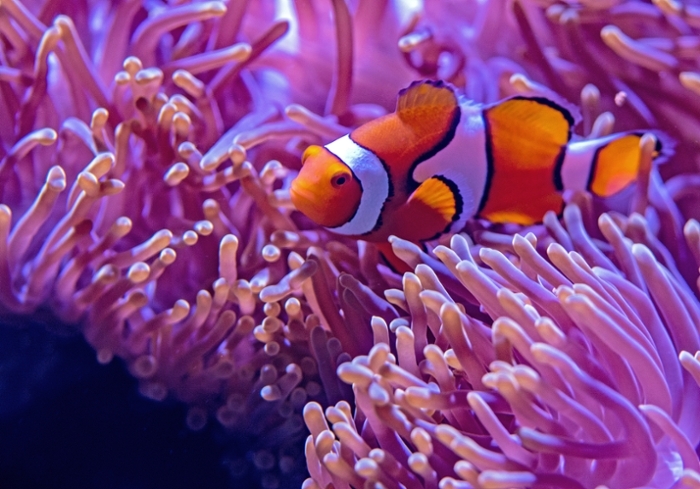 Though some 2 million species of marine animals have been identified, there are an estimated 18 million still to be found, he said. They live in the deep ocean, starting a half-mile below the illuminated surface. Interest in extraterrestrial oceans was piqued by the Cassini spacecraft’s 13-year tour of Saturn’s moons, during which it observed plumes of water vapor shooting from the icy surface of Enceladus. Europa, thought to have an ice-covered ocean, is the focus of the planned Europa Clipper, which would focus instruments on the moon’s surface during dozens of fly-bys sometime after 2020. Girguis and Pontbriand tested an alternative, developed in 2005 at Woods Hole, that uses light to transmit information at broadband speeds. The optical modem’s range is limited by water’s ability to absorb light, but in the clear water of the ocean floor, it can transmit images and video 100 meters. The test sought to integrate the optical modem with cameras and other gear on the ABISS observatory. “We’re really excited to have the opportunity to use our technology to get the experiment going,” Pontbriand said. Other goals of the project, Girguis said, include improving battery life in hopes of an observatory that can operate a year or more without needing service. Another major objective is to make sensors as energy-efficient as possible and get them to communicate with each other. Ultimately, Girguis said, he’d like the ABISS chemical sensor to run all the time, waking the microbial sensor to gather additional data when methane or other life molecules are detected. Girguis isn’t certain that life will be found elsewhere in the solar system, but has no trouble imagining plausible scenarios. Some microbes can survive a journey through space’s vacuum, he noted, and Earth’s bombardment by meteors and comets provides a mechanism for rocks carrying them to be blasted into space. Pontbriand, meanwhile, isn’t sold that the devices he’s had a hand in building one day might be deployed in a search for extraterrestrial life. The ideal ABISS observatory would be able to provide long-term data gathering anywhere, Girguis and Pontbriand said. Information — including bandwidth-gobbling images and video – would be transferred to an untethered robotic sub. The sub would rise to the surface and transmit to a nearby boat, satellite, or spacecraft, which would then convey the data to labs. 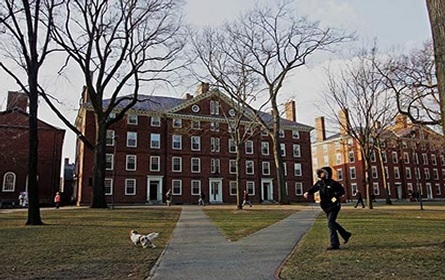 While STEM is being promoted at Harvard with a high priority and funding, don’t forget the original motto of the university, “Christo et Ecclesiae,” which the present motto “Veritas” complements. The possible exploration of remote moons may reveal some interesting science. Any prospect of fossil or living organisms is only satisfied by Earth based organisms. No non-Earth-based life will be found. Developing better battery and transmitters could be of significant value in many areas and worth the funding. A joint study between Carnegie and the Woods Hole Oceanographic Institution has determined that the average temperature of Earth’s mantle beneath ocean basins is about 110 degrees Fahrenheit (60 Celsius) higher than previously thought, due to water present in deep minerals. The results are published in Science. Earth’s mantle, the layer just beneath the crust, is the source of most of the magma that erupts at volcanoes. Minerals that make up the mantle contain small amounts of water, not as a liquid, but as individual molecules in the mineral’s atomic structure. Mid-ocean ridges, volcanic undersea mountain ranges, are formed when these mantle minerals exceed their melting point, become partially molten, and produce magma that ascends to the surface. As the magmas cool, they form basalt, the most-common rock on Earth and the basis of oceanic crust. In these oceanic ridges, basalt can be three to four miles thick. An image of one of the team’s lab mimicry experiments, which was conducted in a capsule made of gold-palladium alloy. The black boxes highlight the locations of olivine grains, and the dark pits in the olivines are actual measurements for the water content of the olivine. The peridotite is the super fine-grained matrix. Image is courtesy of Emily Sarafian. Studying these undersea ranges can teach scientists about what is happening in the mantle, and about the Earth’s subsurface geochemistry. One longstanding question has been a measurement of what’s called the mantle’s potential temperature. Potential temperature is a quantification of the average temperature of a dynamic system if every part of it were theoretically brought to the same pressure. Determining the potential temperature of a mantle system allows scientists better to understand flow pathways and conductivity beneath the Earth’s crust. The potential temperature of an area of the mantle can be more closely estimated by knowing the melting point of the mantle rocks that eventually erupt as magma and then cool to form the oceanic crust. In damp conditions, the melting point of peridotite, which melts to form the bulk of mid-ocean ridge basalts, is dramatically lower than in dry conditions, regardless of pressure. This means that the depth at which the mantle rocks start to melt and well up to the surface will be different if the peridotite contains water, and beneath the oceanic crust, the upper mantle is thought to contain small amounts of water—between 50 and 200 parts per million in the minerals of mantle rock. So lead author Emily Sarafian of Woods Hole, Carnegie’s Erik Hauri, and their team set out to use lab experiments in order to determine the melting point of peridotite under mantle-like pressures in the presence of known amounts of water. “Small amounts of water have a big effect on melting temperature, and this is the first time experiments have ever been conducted to determine precisely how the mantle’s melting temperature depends on such small amounts of water,” Hauri said. They found that the potential temperature of the mantle beneath the oceanic crust is hotter than had previously been estimated. “These results may change our understanding of the mantle’s viscosity and how it influences some tectonic plate movements,” Sarafian added. The study’s other co-authors are Glenn Gaetani and Adam Sarafian, also of Woods Hole.